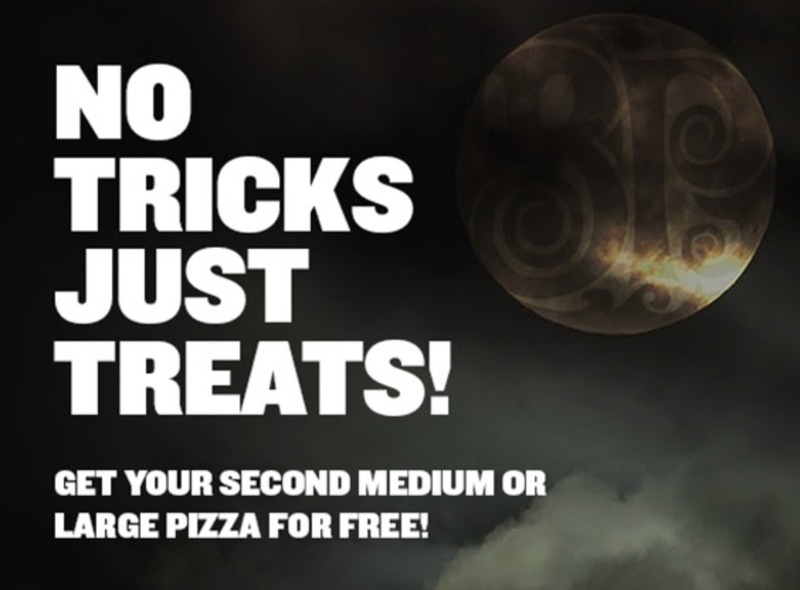 HAPPY HALLOWEEN – Treat Yourself With FREE Pizza! lick here to find Boston Pizza near you. I just logged onto Boston Pizza and it says second pizza is 50% off. Is there a coupon code for the free second pizza perhaps? same here, just 50% off, it was not free!